To the surprise of people whose image of Korea is that of a rather serious-minded economic powerhouse, Korea is becoming a favorite source for popular music throughout East Asia. Hearing Korean singers crooning in the taxicabs of Beijing or Tokyo is becoming an increasingly common experience. But at the same time, Korea is now a global pace-setter in state-of-the-art technologies — nowhere more so than in the area of information and telecommunications technologies that enable the rapid, seamless and enjoyable dissemination of digital content, including music. Famously, Korea has the highest broadband penetration in the world. In this era of state-of-the-art technology, it is time for Korea to adopt state-of-the-art strategies in protecting the intellectual property rights of its music industry. Koreans have a right to be proud of the technological developments that have propelled this nation to the front ranks of digital data transmission. As of 2003, over 70 percent of Korean households are using the Internet via broadband connections, allowing Korean citizens to access information, e-mail and music 24 hours a day. Korea can be equally proud of its talented pop and rock music artists. 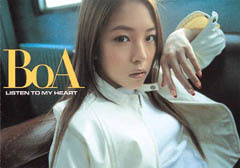 Korean music and films are rapidly gaining popularity throughout Asia, with singers such as BoA becoming household names in Japan and Southeast Asia. Sadly, however, despite their success as performers, Korean musicians and their producers are seeing less and less benefit from the music they produce. Because of technological advances in Korean society, more and more people are accessing music over the Internet — without paying for it. The Korean domestic music industry's compact disc (CD) sales have slumped alarmingly over the last three years. Closely tracking, in reverse, the growth of broadband penetration in Korea, sales of sound recordings fell 7.7 percent in 2001, another 31.4 percent in 2002 and 31.2 percent in 2003. It is widely known that Korea's "netizens" are downloading music over the Internet and creating custom-tailored CD' s for their own enjoyment without paying. The technology to do this is both fun to use and relatively easy to master, but this "joy-ride" has taken a dangerous turn for Korea's music industry. The wellspring of creativity in the music world is based on composers, performers and phonogram producers all collaborating toward the goal of discovering new talent and bringing "hits" to the public. Each leg of this tripod is indispensable to the success of popular music, and thus each should be rewarded accordingly. At present, however, Korean copyright laws protect only composers — even though music must be performed to be heard, and even though it is usually the phonogram producers that pay the performers to play. If music industry revenues continue to free-fall, the wellspring of popular new music in Korea could soon begin to run dry. Since the introduction of Korean pop music into Japan, several Korean artists have sold billions of yen worth of CD' s. In Japan, composers, artists, and sound recording producers all profit from CD sales. In Korea, on the other hand, Korean artists' CDs as well as those of Japanese, American, Australian and European pop music stars are, according to a Japanese music marketer, "facing a slump due to the fact that many Koreans download music content through the Internet free of charge." Recently, the U.S. government told the Korean government that our concern over Korea's lack of adequate protection for intellectual property rights is growing. The main reason for our decision to elevate Korea to our so-called "Priority Watch List" for intellectual property rights issues was our belief that Korea needs to do more to protect sound recordings, in line with the availability of digital age technologies. Korea has a high broadband penetration rate, so the expectations of its trading partners are high as well. While U.S. music companies are losing revenue due to the inadequacies in Korea' s current Copyright Act, it is far and away Korea' s own talented musicians, singers and sound recording producers who are losing the most from the current state of affairs. Artists who compose and produce their own music are certainly at liberty to distribute it on the Internet as they wish. However, the majority of music comes to listeners' ears through professional phonogram producers, and their energy and creativity has a right to be rewarded. This does not mean that online distribution of music has to die. Many models are emerging throughout the world to allow the legal purchase of music online, for either temporary enjoyment or the creation of a permanent copy. In the United States, both Apple's "iPod" and the new fee-paying version of "Napster" are rapidly gaining popularity. In Korea, "Yooryo" and other similar fee-based music services already have a' significant number of subscribers, indicating that many Koreans realize that art and creativity should come at a fair price. Technological progress brings with it commensurate responsibilities. Just as Korean music continues to be on the cutting edge in Asia, Korea needs to be a leader in protecting its music industry. Without laws in place to fully protect the rights of performers and phonogram producers, "music for free" may become a habit that is hard to break. Mr. Kurt Tong serves as minister-counselor of the Economic Affairs Bureau at the U.S. Embassy in Seoul. As an economic expert, Mr. Tong contributes his articles to several publications including The Seoul Times and Chosun Ilbo, vernacular quality paper in South Korea.